In medium-size skillet, melt margarine over medium heat. Add garlic and shallots; cook until wilted. Add crawfish tails, liquid smoke and Worcestershire sauce. Cook for 15 minutes; cool. Add bacon and set aside. Mix potatoes, mayonnaise and egg whites in a three-gallon bowl. In a separate bowl, mash egg yolks and mix with mustards and Tabasco Sauce. Combine mustard mixture and potatoes. 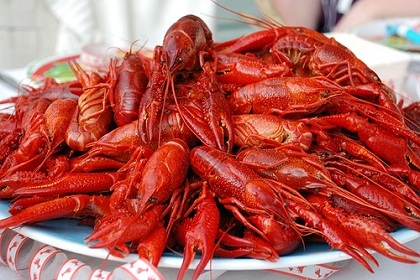 Stir in crawfish. Salt and pepper to taste. Serves 10 to 12.